Australian police will assess a punch thrown by West Coast Eagles midfielder Andrew Gaff that left an opponent with a broken jaw during an Australian Football League (AFL) match in Perth. Gaff's off-the-ball blow on Fremantle Dockers midfielder Andrew Brayshaw on Sunday knocked out several of the first-year player's teeth and brought a premature end to his campaign with three matches to play in the regular season. The incident sparked uproar in the Australian Rules football community and triggered calls for 26-year-old Gaff to be banned from the top flight for life. "We will make an assessment on this incident as we would with other matters of public interest, and we would encourage any parties directly connected and concerned with this matter to contact WA Police Force," Western Australia state police commissioner Chris Dawson told reporters in Kalgoorlie. "No one likes to see hits like that in competitive sport." "It is rare for police to lay criminal charges as a result of an incident in a professional competitive sporting event. "Physical contact on the footy field is expected. The central issue here is what should be governed by the sporting code and what falls within the criminal realm." Brayshaw, whose brother Hamish is on the playing roster of Perth-based West Coast, came off the ground with blood streaming from his mouth and underwent surgery at a local hospital to repair his jaw and replace three teeth. He would not be able to eat solid foods for a month, his club said. Gaff, who previously had a spotless disciplinary record, apologised to Brayshaw in a post-match television interview, saying he felt "sick" over the incident. His club CEO Trevor Nisbett said he had personally apologised to the Brayshaw family but bristled over calls by a prominent Perth lawyer for Gaff to be charged with assault. "Some of those inflammatory comments by some people just are unwarranted, because everyone knows we've got a process in the AFL and the club will take the process to the tribunal," Nisbett told reporters in Perth. "The AFL will deal with it. The player will get the penalty that the AFL tribunal deems as deserved in this case." 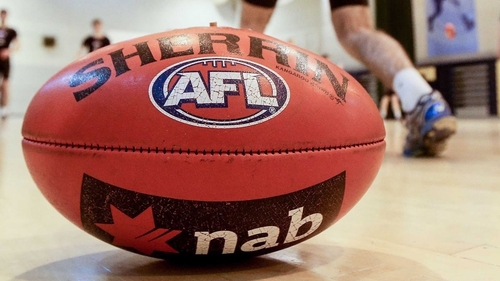 AFL players are regularly suspended for multiple games by the league's disciplinary tribunal for head-high punches but police have only charged one since the formerly Victoria state-based league expanded into a national competition in the 1980s. Hawthorn Hawk Leigh Matthews, one of the game's most revered players, was convicted and fined A$1,000 (€640) after being charged with assault for breaking a Geelong opponent's jaw in a 1985 match. The conviction was overturned on appeal.